After being named the first regional contractor in Victoria to achieve Federal Safety Commission (FSC) accreditation, Nicholson Construction is commitment to OH&S. Despite this, management discovered employees or contractors would walk under barrier tape t-top set ups or even break the tape around workstations and mobile plant vehicles on construction sites (exclusion zones). A more robust portable barrier solution was required. 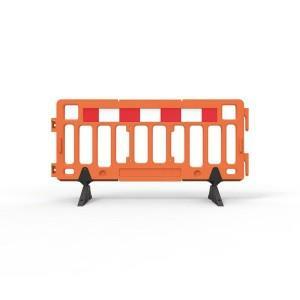 By using the Plastic Fence Crowd Control Barrier (PEF2000), Nicholson Construction has a portable, easy set up physical barrier that can no longer be transgressed, creating a safer work environment. 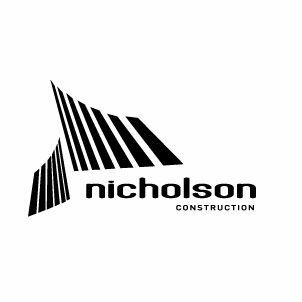 Nicholson Construction required a physical barrier around workstations and plant equipment that provided enough separation from employees and contractors during the construction phase but were portable enough to use on various construction sites.